The union representing Los Angeles County prosecutors voiced concern Wednesday about the safety of its members in the wake of recent incidents that included a prosecutor being stalked and others being attacked by defendants in court. According to the ADDA, a number of prosecutors have been attacked in court in recent months, including one who was punched by a defendant and another who was hit by a chair thrown by a defendant. Prosecutors have also faced problems outside of court buildings, according to the ADDA, including a female prosecutor who was stalked by a juror who discovered her home address. The union also cited a number of security issues involving court facilities near homeless areas in the Civic Center, including a recent murder committed by a transient next to a parking lot used by district attorney’s employees. “We strongly urge all of our members to stay away from the homeless camps in the Civic Center homeless area due to the number of assaults, and we remind you to exercise caution while going to and from your vehicles,” the association’s statement says. A representative of the District Attorney’s Office was not immediately available for comment. 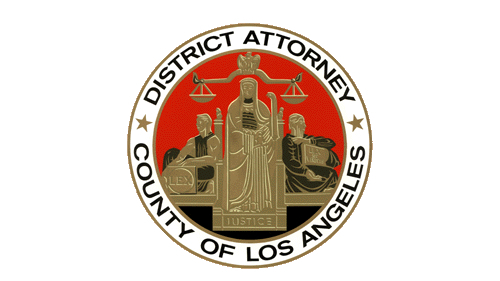 ADDA said its leadership has met with District Attorney Jackie Lacey’s office to discuss the recent events, and to improve security for its members. The union said it has also notified the District Attorney’s Office’s Bureau of Investigation about the attacks and other incidents, and has asked the bureau to issue a warning bulletin.